Pieter Cornelisz. Hooftstraat 125 - 4B AMSTERDAM, Oud Zuid - Peter Bruin Makelaardij o.g. b.v.
LIGHT AND BRIGHT FURNISHED 1 BEDROOM APARTMENT OVERLOOKING THE P.C. HOOFTSTRAAT. The luxurious is apartment located at the corner of the P.C. Hooftstraat with its exclusive boutiques. 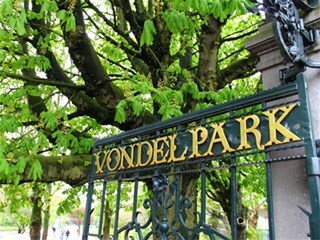 Within walking distance of the "Rijks-museum", the "van Gogh museum", the Vondelpark, the famous Amsterdam canals, as well as restaurants, cafés, shops and excellent public transport facilities. Elegant communal entrance hall with excess to elevator. Entrance hall to the apartment with guest toilet. Light and bright living room with oak hard wood floors. The livingroom has windows overlooking both the P.C. Hooftstraat and the Van der Veldestraat. Half open fully equipped kitchen. Good size master bedroom with wardrobe. Luxurious modern bathroom with a bathtub, walk-in shower and washbasin. Utility room with washer dryer and storage. Great apartment with elevator on an excellent location with modern furniture. The apartment is for rent for expats with owners prior consent.